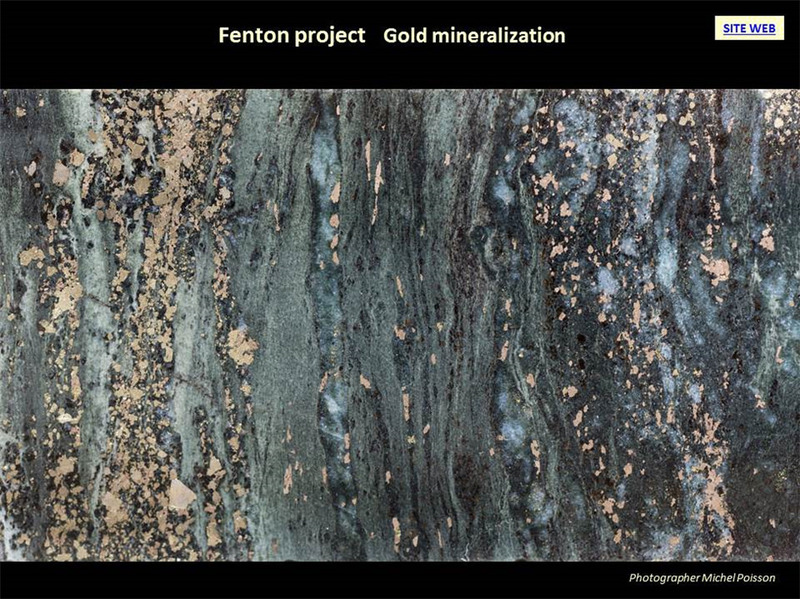 Fenton | Projects | Cartier Resources Inc. 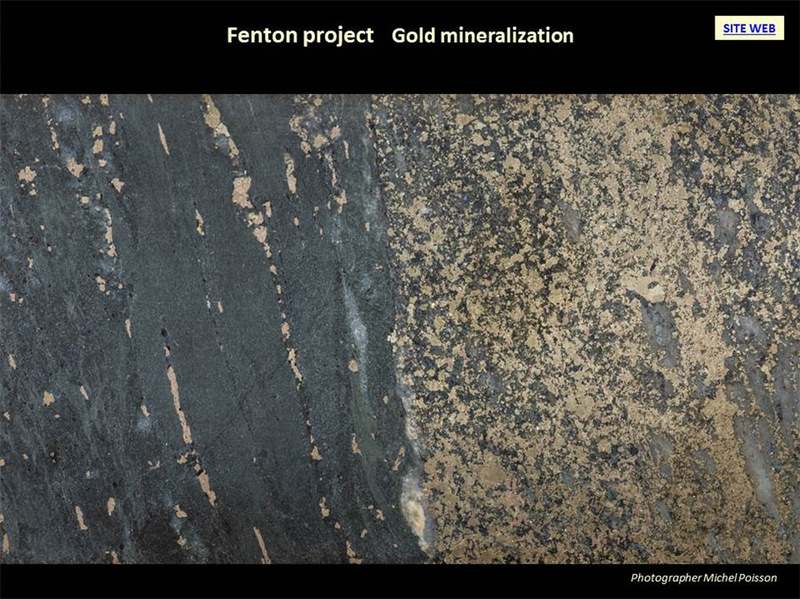 Hosts Fenton deposit with well defined gold-bearing mineralization. 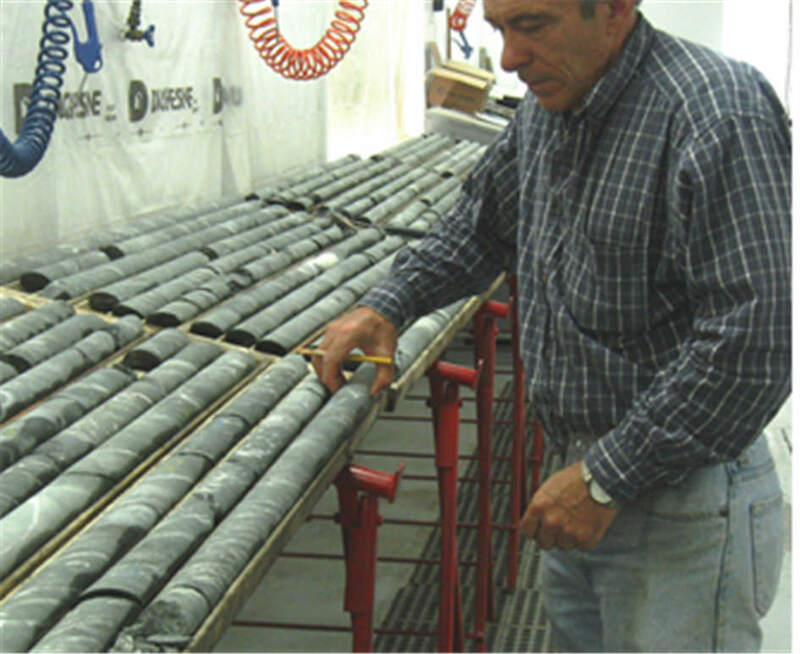 Joint Venture with SOQUEM. 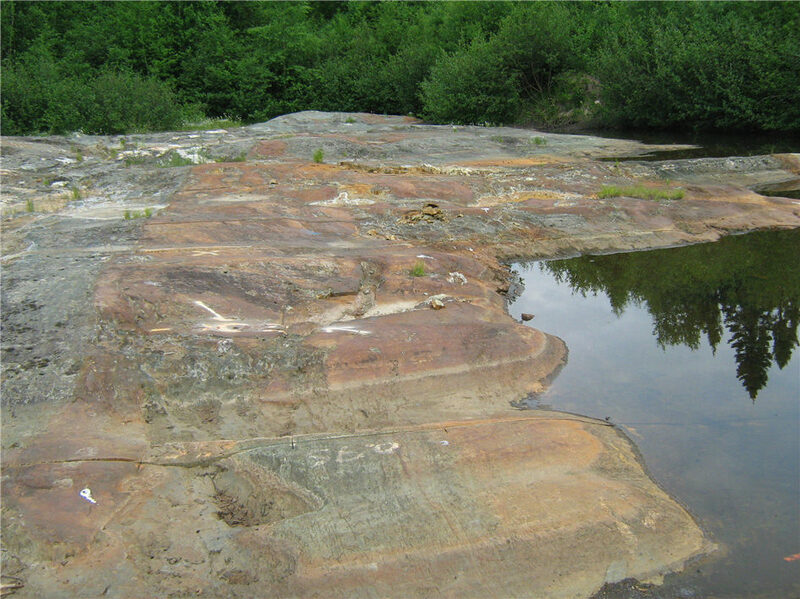 The property consists of 15 contiguous cells (Figure 2) covering an area of 503 hectares. 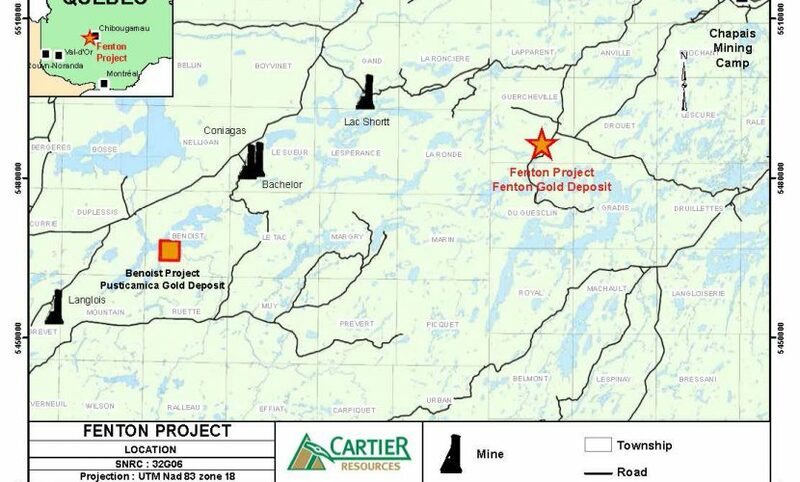 SOQUEM INC. currently holds a 50% interest and Cartier Resources Inc. holds also 50% interest. 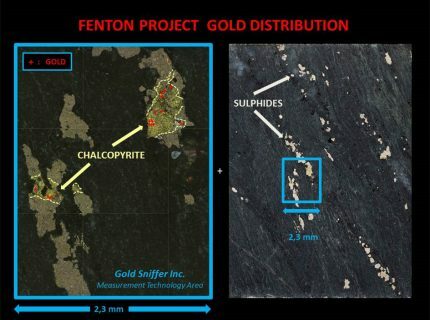 A historical estimate reports 426,173 tons grading 4.66 g/t Au corresponding to 63,885 oz Au of wich 23,643 oz Au are located in the first 50 m below the surface. 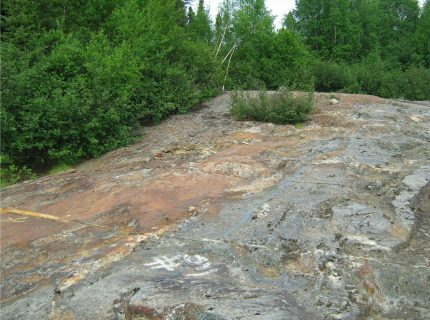 This estimate was made in 2000 by M. Denis Chenard, Eng. 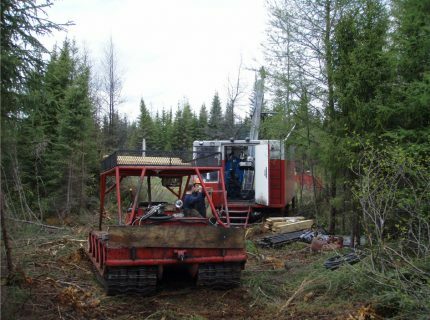 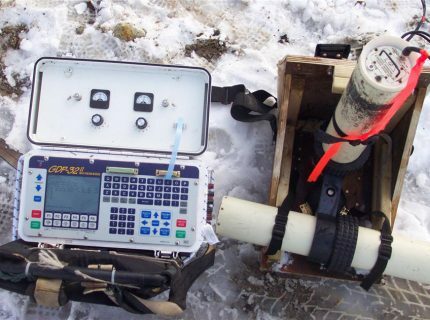 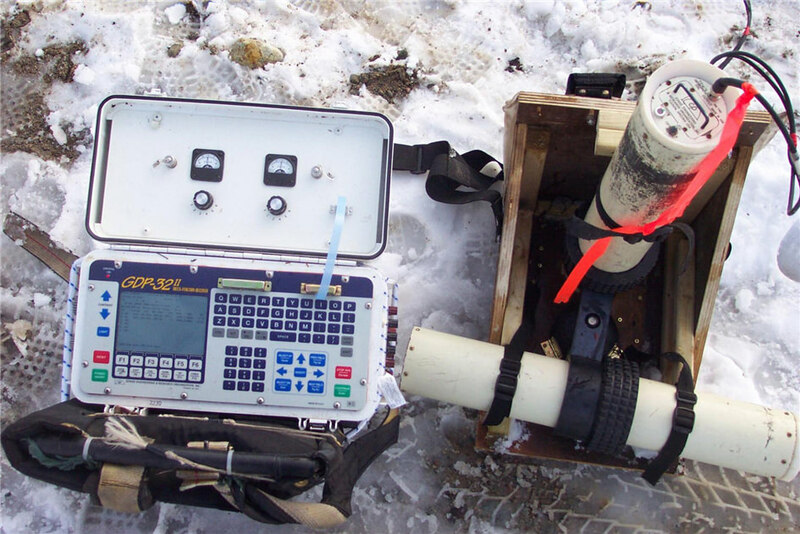 Datac Geo-Conseil Enrg on behalf of Boreal Exploration from 73 holes drilled on the three main areas of the Fenton Gold Deposit. 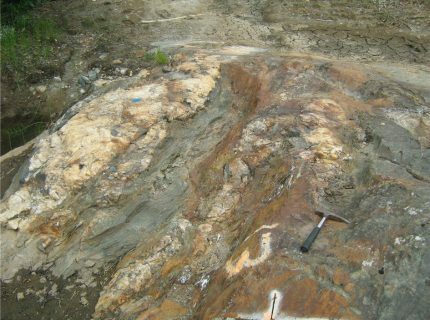 This calculation was performed with a lower cut-off grade of 2.0 g/t Au and true minimum thickness of 1.0 m.
The qualified person has not done sufficient work to classify the resources covered by the estimate as current mineral resources to date. 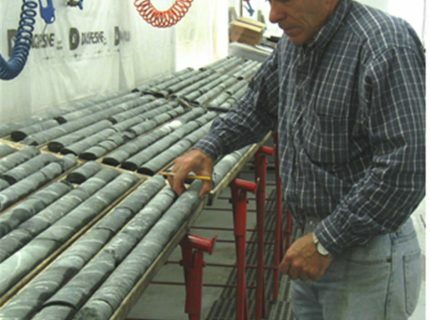 The Issuer does not consider the resources covered by the estimate as current mineral resources to date. The scientific and/or technical information presented in this document has been reviewed and approved by Mr. Gaétan Lavallière, P. Geo, Ph. 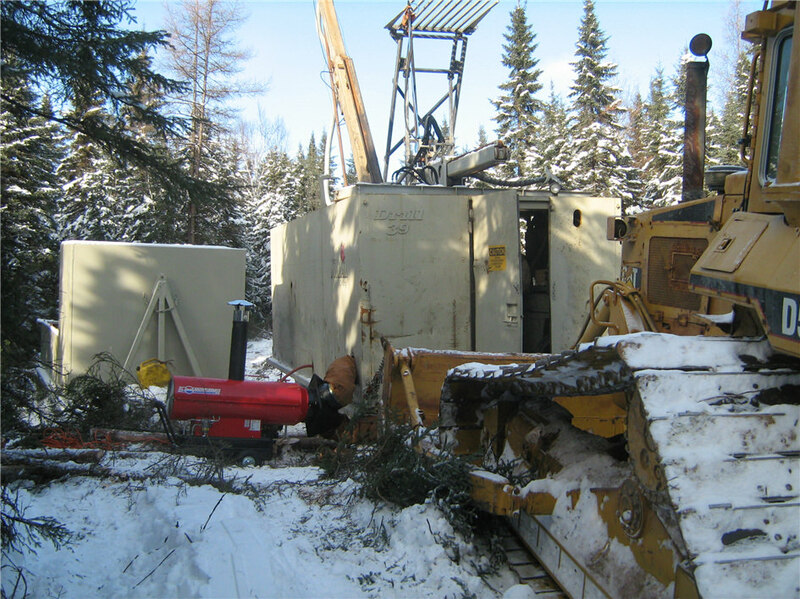 D., Vice-President for Cartier Resources Inc. Mr. Lavallière is a qualified person as defined by National Instrument 43-101. The mineralisation expansion potential remains open at depth and along strike (Figures 3, 4 et 3D Model). 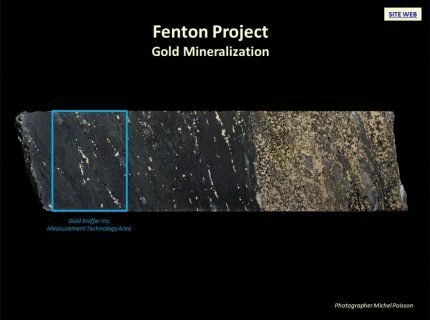 To date, 106 drill holes were completed on the Fenton Gold Deposit for a total of 16,453 m (3D Model). 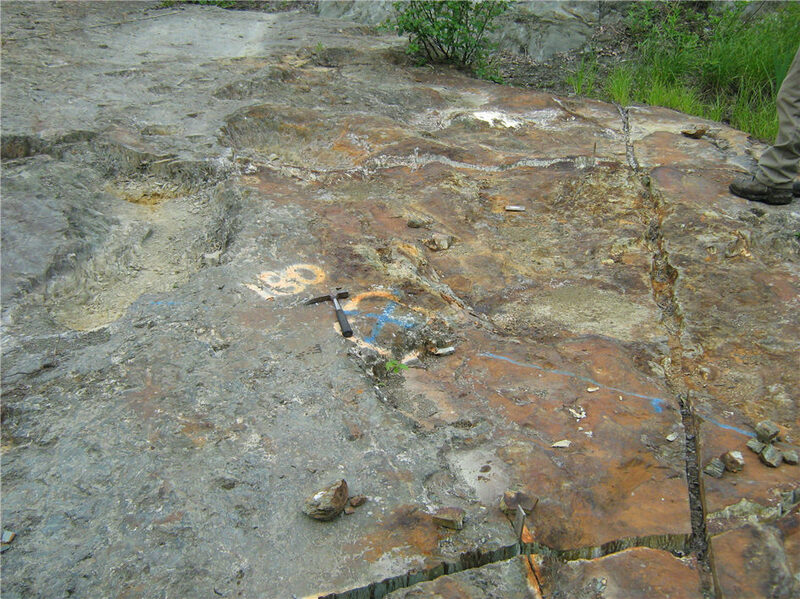 SDBJ does not renew claims, SOQUEM INC. stakes property. 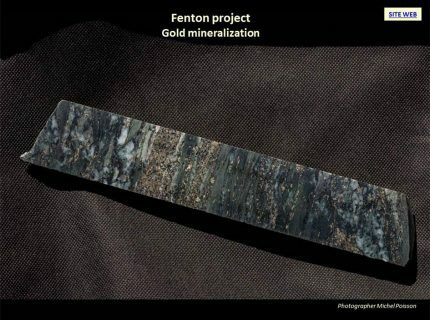 In september, option agreement amended. 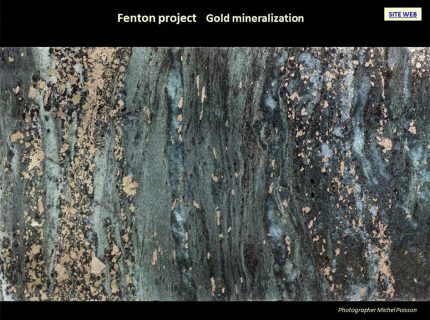 The Fenton property is situated 50 km south-west of the town of Chapais and 60 km from the Bachelor Mine in Desmaraisville (Figure 1). Three access routes converge onto the property; the Kruger road whose branch stems out at kilometer post 317 from 113 road, the lac Caven road whose branch stems less than 1 km west of the town of Chapais and route 3000 Barrette-Chapais road sawmill situated east of Chapais. 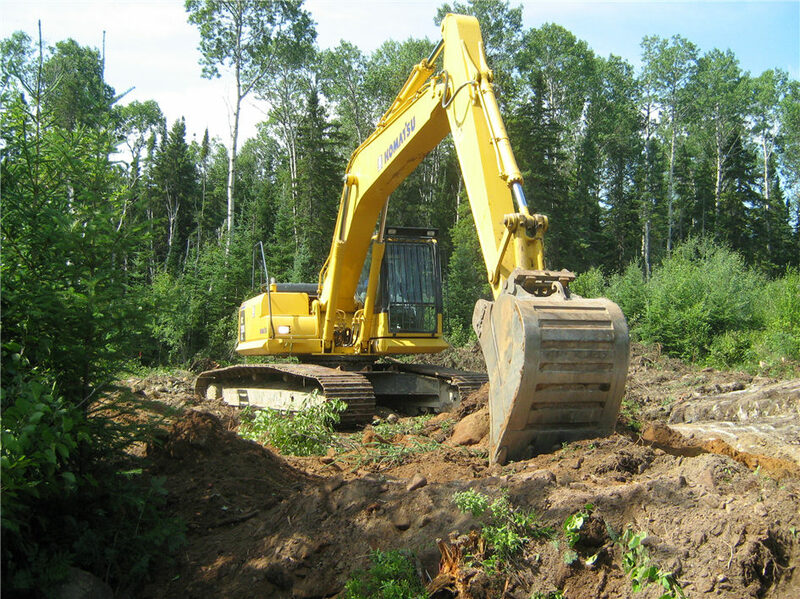 These lumber industry access roads are good quality and traverse the property. 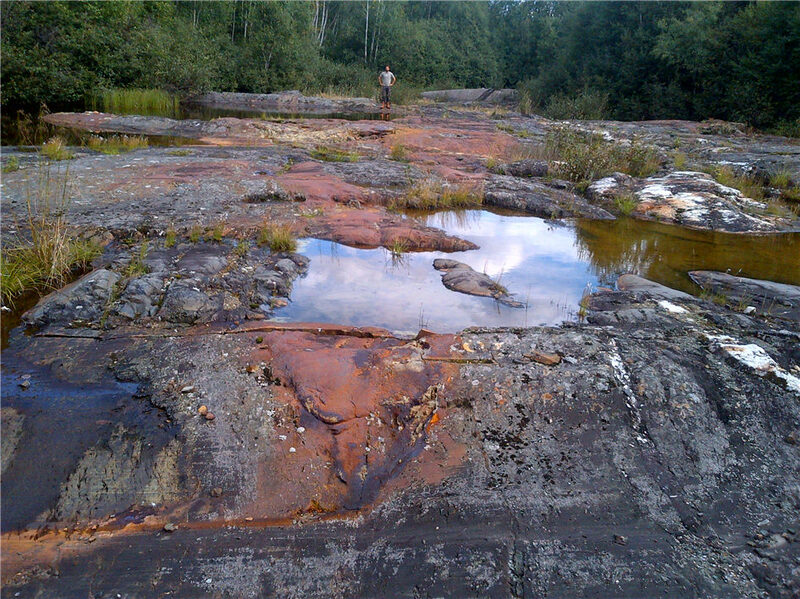 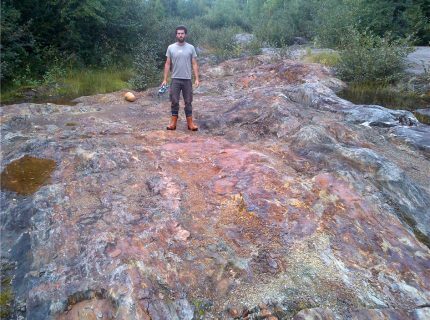 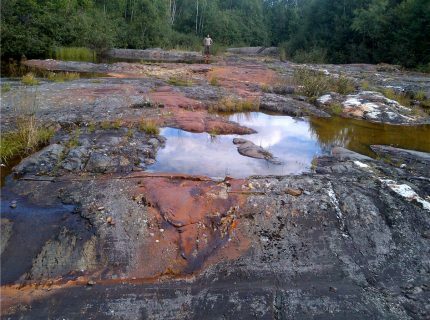 The Fenton property is located in the northern volcanic zone of the Abitibi sub-province. Geology is characterized by basalt flows intercalated and locally domed with small felsic centers. The base of the stratigraphy is comprised of tholeitic flows of the Obatogamau Formation often intruded with gabbroic sills. 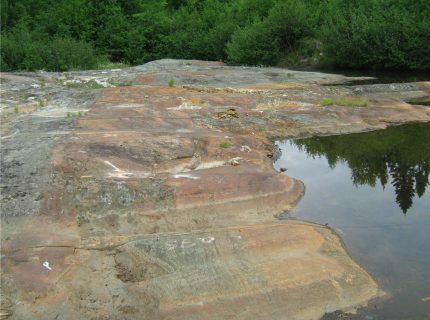 There is a minor component of rhyodacites other pyroclastic units of intermediate to felsic composition of Wachigabau member. 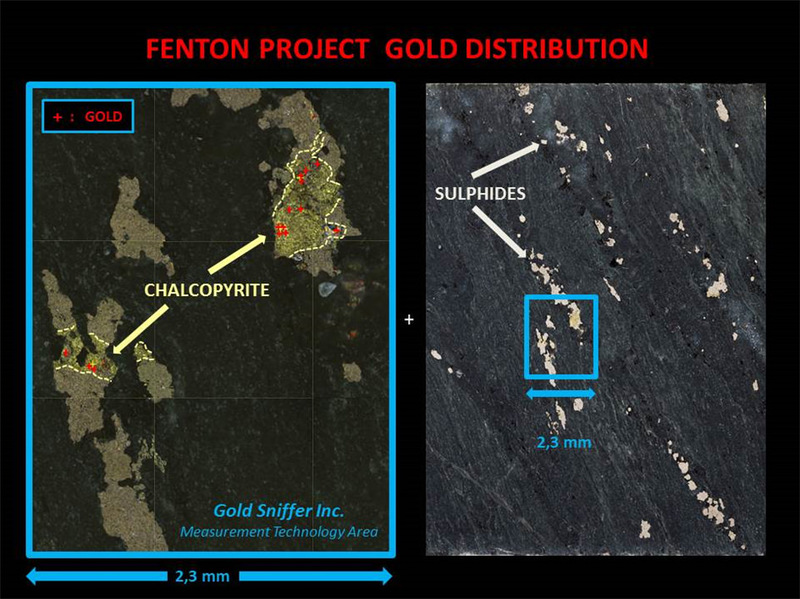 The property is situated several kilometers south of the Opawica-Guercheville deformation corridor which hosts amongst others the Mariposite and Philibert gold deposits as well as the Joe Mann closed mine further east. Gold enrichment at the Fenton Gold Deposit is correlated with pyrite-pyrrhotite mineralization (Pictures 1 and 2), secondary chalcopyrite, associated with silica-sericite-carbonate alteration zones within sheared and pillowed basalts. 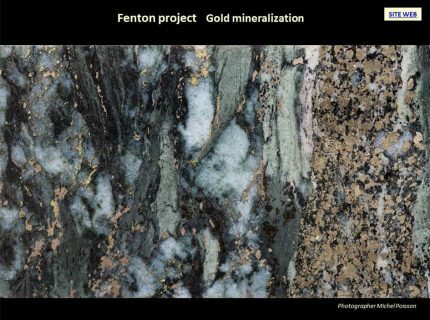 The mineralized envelop that comprises the Fenton Gold Deposit is signatured by a strong induced polarization anomaly coincident with a magnetic high. 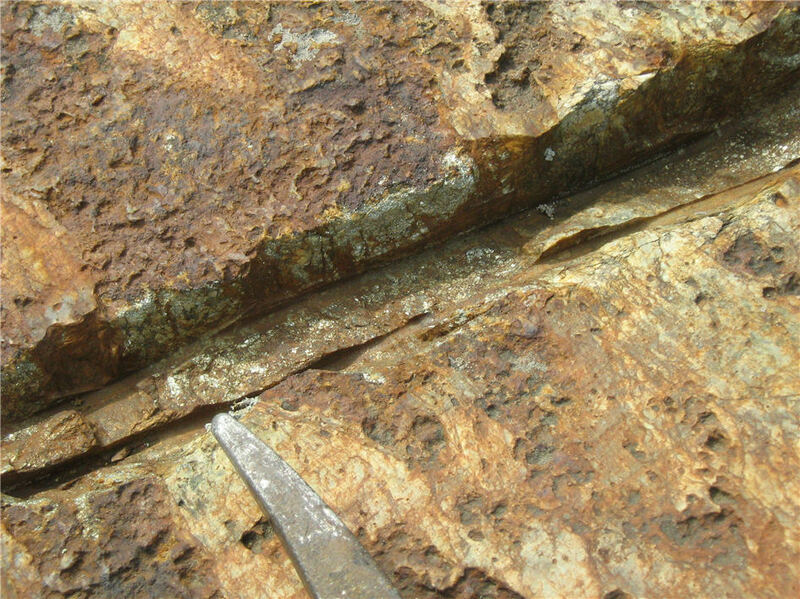 The deposit lies within a highly magnetic striking NNW-SSE. 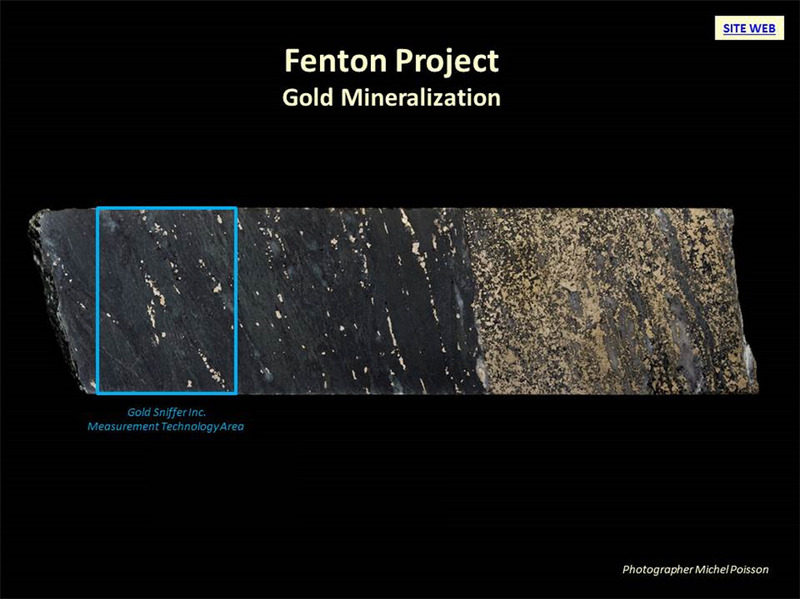 Drill the deep and lateral extensions of the Fenton Gold Deposit (Figures 3, 4 et 3D Model).